adidas Nemeziz 17+ 360 Agility football boots for adults. Knitted boots, for natural grass or last generation artificial grass surfaces. 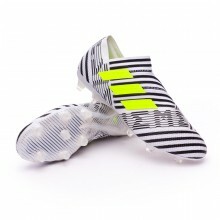 Elite boots in White-Solar yellow-Core black colour. For the attacking players. 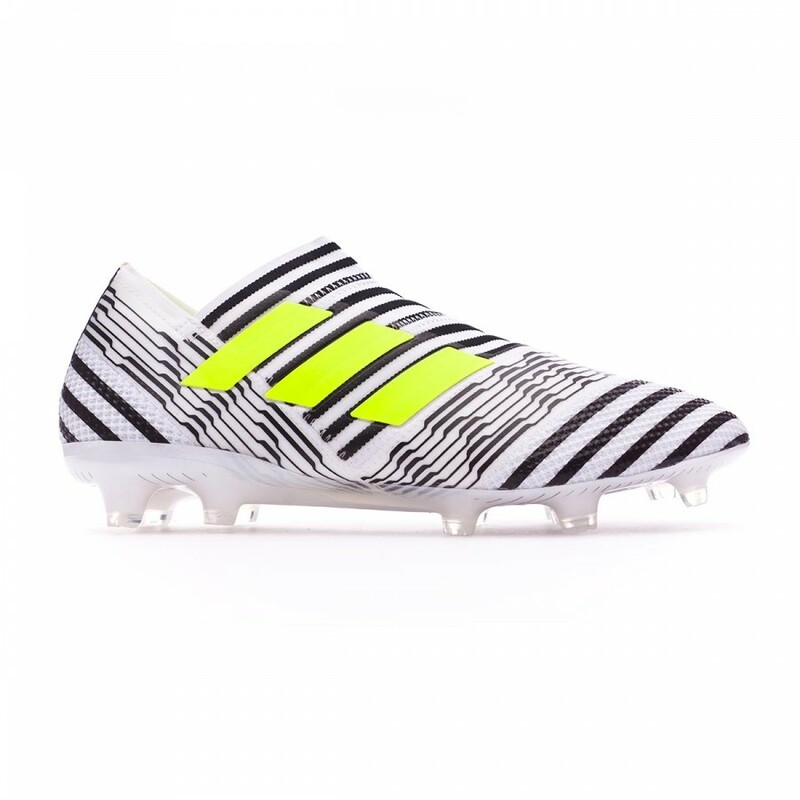 adidas introduces a new field player concept, the audacious player that owns the ultimate agility, boldness and creativity, who will receive the adidas Nemeziz football boots. With this new silo, adidas wants to provide the best fit possible, and has developed a new upper inspired by the functional bandages used in sports such as boxing, ballet and martial arts. 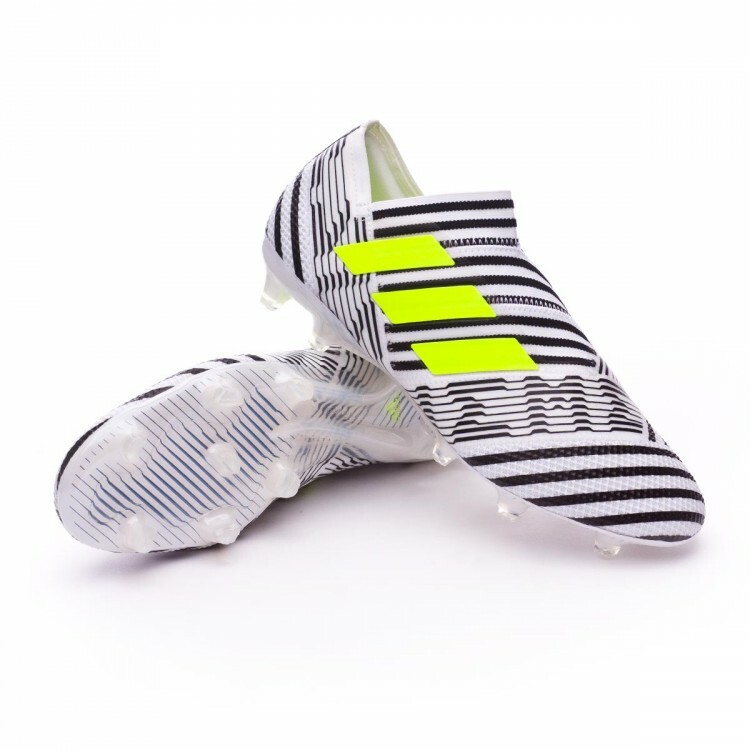 These boots will be worn by players such as Leo Messi, Lucas Vázquez, Filipe Luis or Cuadrado, among others. Featuring the AgilityBandage technology, it consists of a "TORSIONTAPE" that wraps our foot entirely, similarly as how boxers tape their hands, resulting in a functional bandage type of fit, providing an optimal adjustment and a total lockdown in our whole feet. 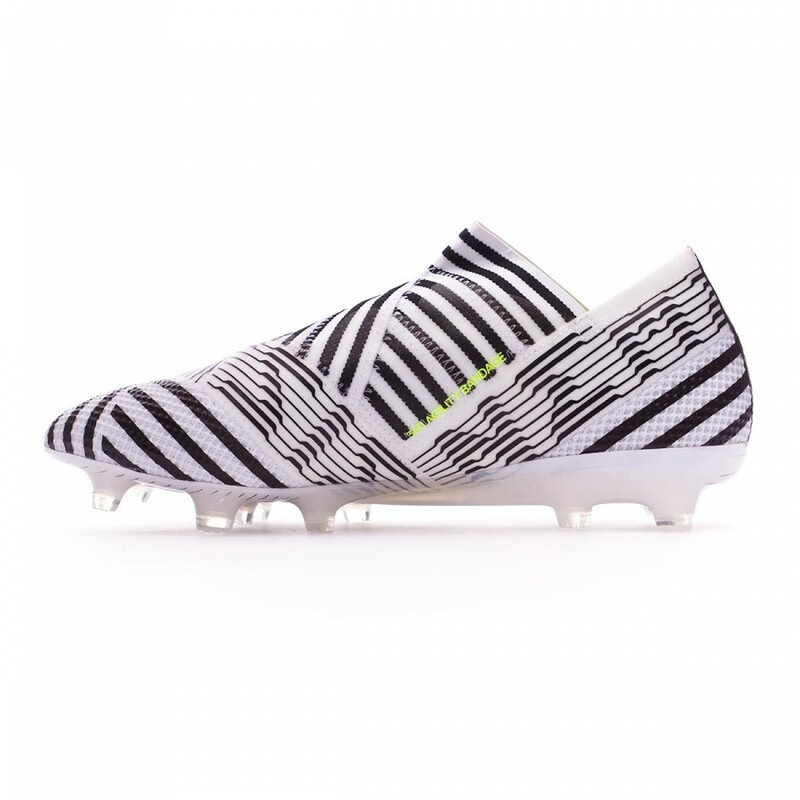 adidas combines the Agility Bandage technology with an updated version of the already known Agilityknit thread, seen for the first time on the Messi16, by including a portion of the latter on the toecap, covering the feet toes to provide a good touch on the ball. Both technologies are protected by a thin synthetic layer that watherproofs the upper and makes it more durable. The interior heel counter, along with the compressive upper makes the adjustment of this boot one of its most important features. Ultralight TORSIONFRAME plate, it features the energy returning properties TORSIONRIBS technology. It also includes a stabilizing element in the middle area and a semi-conical stud distribution, very similar to the one we can find in the adidas X plate. 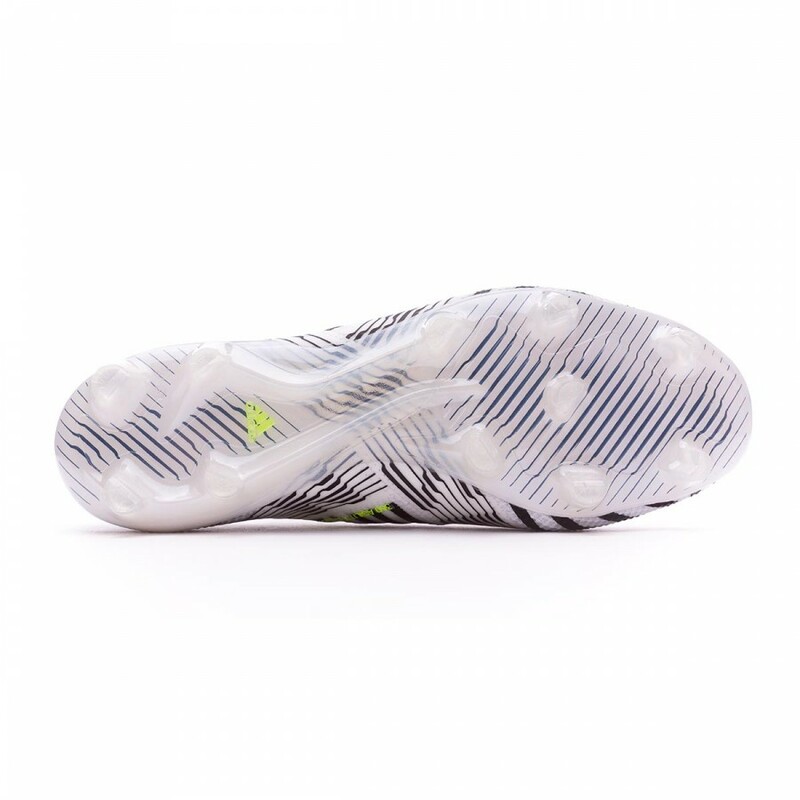 Elite players looking for a top of the range boot that provides a comfortable yet compressive effect and a total adjustment to the foot. For players that want to enhance their agility on the pitch. Suitable for artificial grass or earth pitches.